Learn Market Online > Education > Financial markets > Forex > Why do you need a forex trading account ? Why do you need a forex trading account ? The Forex market is a decentralized market that allows you to trade on currencies of different countries in order to make a profit. It is the biggest market in the world with over a billion trading volume on a daily basis. It works 24 hours in a day. Currencies on the forex market are traded in pairs. An example is EUR/USD. This is the only way to make profit from the market. The ask price of a security is the price that a seller is willing to receive in exchange for the security. In other words, the ask price is the selling price. The bid price, on the other hand, is the maximum price that a buyer is willing to pay in exchange for a security. The difference between the ask price and bid price is termed as spread. The bigger the difference between the ask and bid price, the bigger your spread. Many years ago, the forex market was only limited to huge banks and hedge funds. In today’s world, all that has changed. You and I also have gained access to the forex market. This is made possible with the help of retail forex brokers. Regardless, you cannot trade directly on the forex market like you can when you walk to your local market and buy yourself some pastries or fruits. With the help of retail forex brokers, you also have access to the market in other to make millions of profit. How to open a forex trading account. What is forex account? 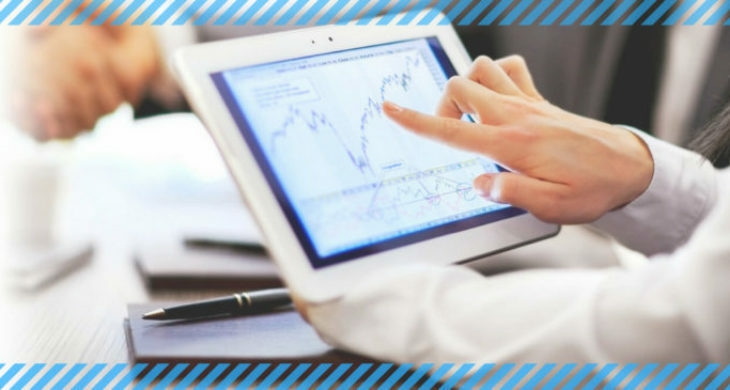 It is simply a trading account that you set up with a broker of your choice that allows you to make trades on different securities on the forex market. This is one of the requirements needed to have access to the forex market. As it has already been stated above, trading on the forex market requires the intermediary represented by the forex broker. The only way brokers can give you the access you need to trade is by opening a trading account. Today opening a trading account is as simple as creating an email account. You just need to provide a few details about yourself such as your first name, last name, date of birth, place of residence, email, zip code, phone number etc. These are most of the fundamental information you need to input in order to create an account. The final part is to make a deposit into your own trading account. The deposit is the amount that you will need to make your trades on the trading platform. When it comes to deposits, you know yourself best. You know how much money you can spare for forex trading. It is important to also keep in mind that deposits should be made with money that you can spare. This is because anyone who will tell you that trading on the forex market is an easy task is lying to you. Forex trading is not for the faint-hearted. You need guts, patience and endurance to be able to trade on the forex market. So make sure you are making deposits with money that you can afford to lose. Most trading accounts are in fiat currencies like USD and EUR. So you will have to change your local currency into one of these. Related :Which Forex brokers are good for big deposits ? The emergence of retail forex brokers have made forex trading possible for guys like you and I. You should take note that in as much as there are good brokers out there, there are also really bad ones. There are lots of forex trading scams going on in the forex market. Some brokers are simply out there to steal your hard-earned money. As soon as you make deposit, that will be end. You can never withdraw your money again. So you should watch out for them. Whenever a broker a forex broker makes you an offer that is too good to be true, know that he is most likely a scammer. Some make promises like 100% return on all trades. Brokers who make these promises are just hungry for your money. They have nothing to offer you. There are licensing and regulatory institutions that have been established to monitor the activities of forex brokers. So before you make any decision to trade with any broker, make sure they are regulated and licensed to operate. This way you can be certain of how safe your funds are with that particular brokerage firm.